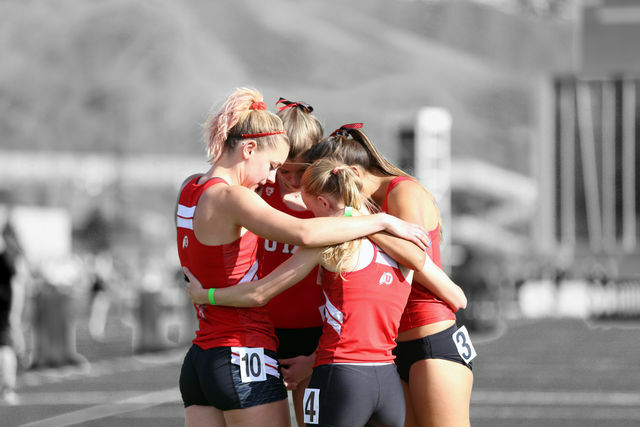 Opening up its 2017 season on Saturday, Sept. 2, the University of Utah cross country team placed third overall (79 points), behind first place champion Utah State (15 points) and runner-up Weber State (56 points) at the Utah State Invitational. Utah head coach Kyle Kepler said this meet was a chance for the Utes to get practice and gain experience. Especially for those who have yet to race against collegiate competition, or had their season shortened due to an injury and those who didn’t qualify for the end of last years meet. Leading the Utes was senior Sadie Wassum who earned a 12th place finish in the five-kilometer course with a time of 18:45.29. Junior Hannah Allred clocked a time of 19:17.07 to earn 22nd place and senior Dakota Grossman landed 23rd place overall after a 19:18.20 performance. Freshmen Natalie Platil and Melissa Taggart, as well as sophomores Anna Busatto, Emma Christensen, Nicole Griffiths and juniors Jade Mulvey and Megan Spehar also ran. Senior transfer Louise Mercer ran unattached for Utah, and she took ninth place after putting up a time of 18:22.23. 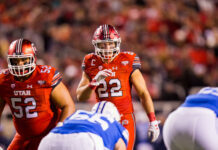 The goal of the race, according to Wassum, was to see if the Utes would be able to listen to Kepler and do what he said. For Wassum, she was thrilled to watch her younger teammates do that as they were given a race plan and stuck to it. Wassum said this meet was looked at more as a workout for the team, but was pleased with how her teammates raced because they stayed in their groups, raced smart and worked together. Although not every member on the team competed in the season opener, the entire team still traveled and it provided a spark for those in the race. Despite not seeing all his athletes perform in the meet, Kepler said he has seen enough in practice to know where his team stands as a whole, and he feels it’s “right on track” with where it should be at this time of the year. The Utes are now preparing for the Montana State Invitational that will feature faces that ran in the Utah State Invite, but Kepler also said a few more Utes, including some who competed in the past NCAA championships, will make appearances. The Montana State Invitational gets underway in Bozeman, Montana on Saturday, Sept. 16.